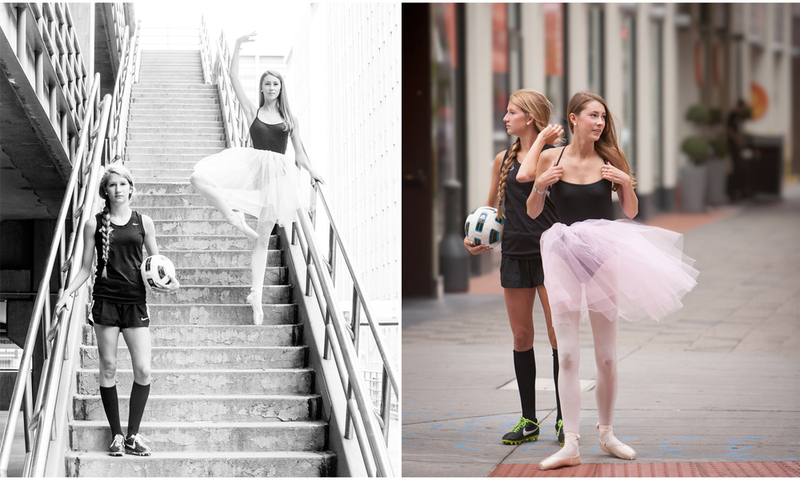 Gorgeous best friends, a soccer player and a ballerina on the infamous yellow wall in Denver! Everyone asks about these gorgeous girls ("are they sisters?" most frequently) so here's the story: Ryan (the soccer player) and Julianna (the ballerina) are cousins who happen to be best friends... and they live in different states. So when they get the chance to be together, it’s cause to celebrate their sisterhood! I got a call to do this shoot literally the day before we pulled it together, after Ryan's amazing mom woke in the middle of the night thinking how great it would be to do a joint photo session before Juli had to fly back home. The combination of their clear familial relationship (hello long legs and awesome flowing hair on each of them!) and their very different talents made for such a striking set of photographic compositions! 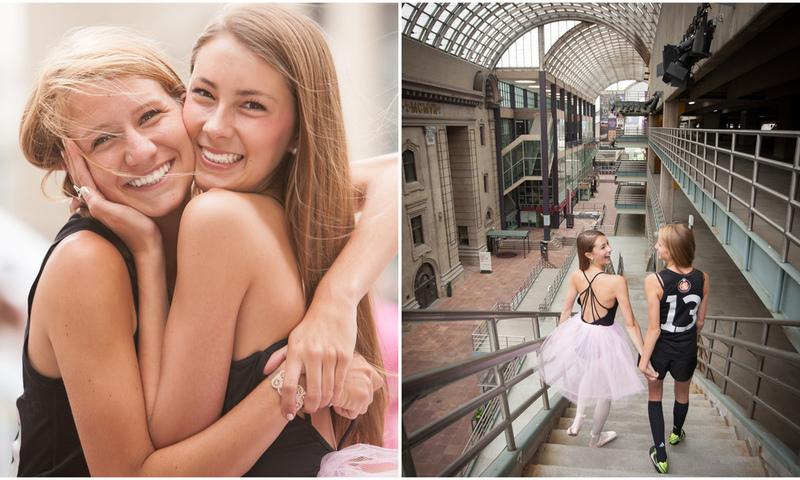 This unique urban session, which took place downtown near the Denver Center for Performing Arts, was one of the most fun sessions imaginable! Lots of laughter, lots of playing, a few outfit changes, and photos which hopefully convey the joy and love of this unique friendship. After the session, the girls went to a concert at the Pepsi Center, where they were stopped by someone who asked if they were the girls from the photo shoot in the streets of Denver that day! We made them famous for the day... that's fun! Sessions are booking already for this year's senior pictures in Denver (Class of 2017) ... so drop me a line now if you're interested in a complimentary consultation or would like to book your photo session!